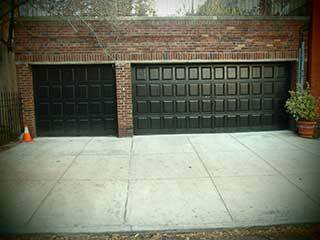 A garage door that's made of steel doesn't require a lot of work in order to remain in a great looking shape. However, it does need to be maintained regularly in order to keep it from developing certain preventable problems. These issues can end up affecting more than just the appearance of your door, but its performance as well. Don't worry, though. The steps you need to take are simple, and won't require a lot of time to complete. After you've made sure the surface of your door is clean, you need to take a piece of sandpaper and scrub off the rust until the majority of it has been successfully removed. Tiny spots of rust cannot be seen clearly with the naked eye, so you must make sure to scrub well around the rust as well, even if that means encroaching onto sections that don't appear to be affected yet. This can be a little straining, so remember not to overexert yourself if you are doing it by hand. Patience is a requisite, because the cleaning must be done perfectly. Once all the rust has been removed and the door has been wiped clean again, you can apply the primer and the special coating that will allow the surface to better resist rust in the future. If you are not completely happy with the results, you can apply another coating after the first one has dried. After everything has finally dried, you can paint your door in whatever color you prefer. This will help you preserve its look, and maintain the curb appeal of your home. If you're looking for professional garage door maintenance service, then our team at Garage Door Repair Brooklyn can help you out. Contact us today to schedule an appointment.